Driving down a country road in Eastern Washington, saw a Porcupine crossing the road. 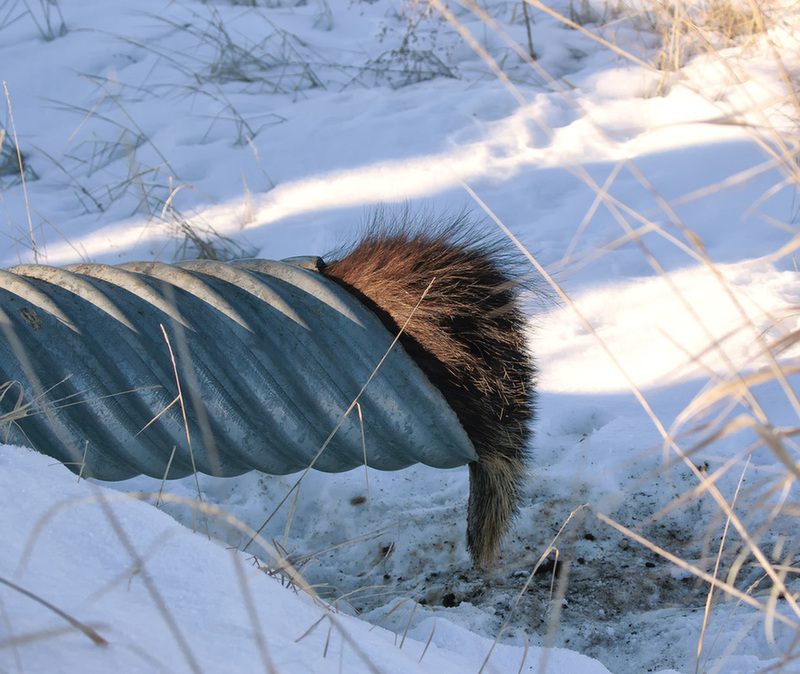 After stopping to see what it was, the Porcupine had crawled into a culvert to hide as there was no cover in the snow- covered field. I would say you got yourself into a "prickly" situation, Jake. A fun image! Don't you just love wildlife - as long as their head is hidden, they think they're invisible! Thanks for the smile, Jake. Very amusing! Love what Carol said.